San Francisco Weather: Why is it so cold?!! Why is it so cold!!? The good news: San Francisco has a very mild climate. It rarely gets out of the 55 to 65 degree range (12 to 18°C), summer or winter. There's no bad news! Just a reminder to visitors that it's often cool and windy, especially in the afternoon. 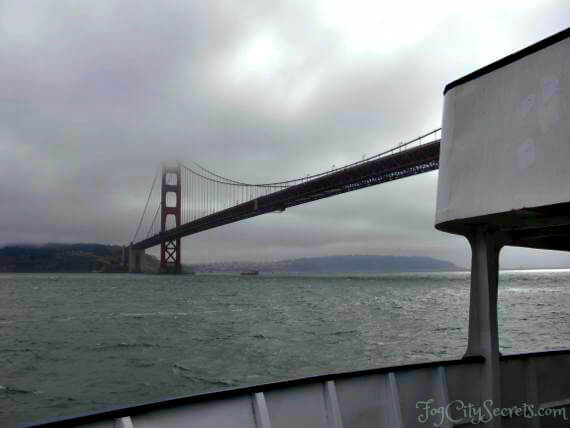 I want our guests to thoroughly enjoy their stay with us, which means not freezing on the Golden Gate Bridge when the fog comes in. 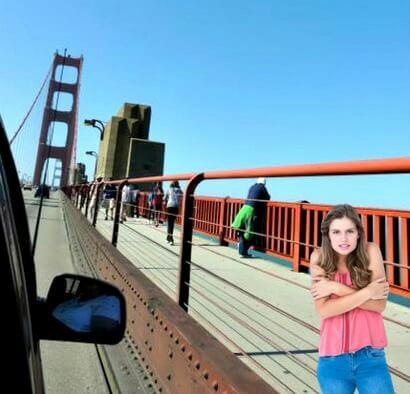 No blue legs on the bridge! 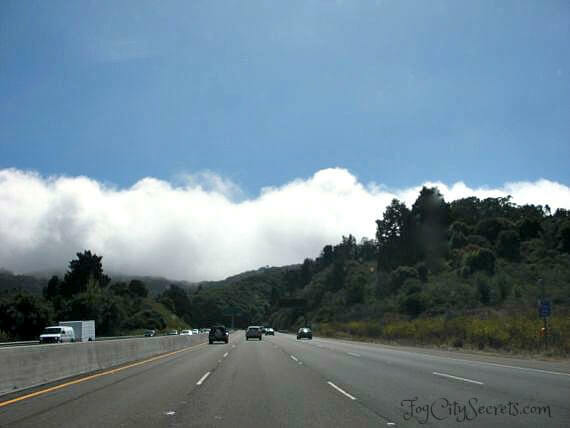 The Bay Area is unusual in the wide variety of climates that exist just within a few miles of each other. 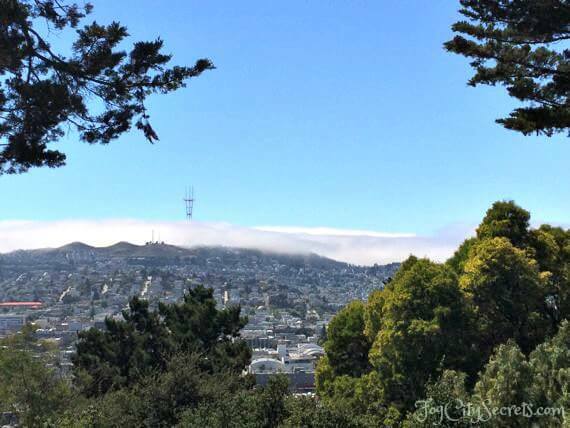 Even San Francisco, only 7 miles square, has microclimates within its city limits. This area is considered to have a Mediterranean climate: hot, dry summers and cool, rainy winters. And that is generally true. 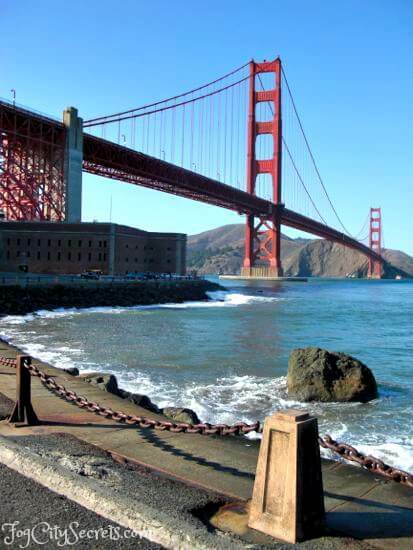 But San Francisco got left out of the hot, dry part, due to its position on the tip of a peninsula surrounded by very cold water. San Francisco also benefits from the contrast between the cold ocean current and the extreme heat of California's Central Valley. The result is a pretty steady onshore flow of cool air, pulled in by the stifling hot air inland which rises. This also pulls the famous fog inland onto the city. The fog typically shows up offshore around 2:30 to 3:00 pm. Then it rolls in through the Golden Gate, across the bay and sometimes up into the Berkeley Hills. 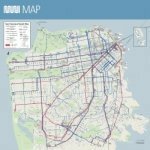 When it flows onshore, it covers the western half of the city and gets caught up on the range of hills in the center of SF. As a result, the outer neighborhoods near the ocean (the Sunset and Richmond districts) tend to be a lot foggier than the rest of the city. The weather forecast for San Francisco comes in two parts: the coastal area and the rest. A sunny afternoon near the bridge can be cold and foggy an hour later. Hence our recommendation to dress in layers. Being that San Francisco has a quasi-Mediterranean climate, 80% of the rain falls in 5 months, November through March. April is iffy; often sunny and warm, but can get rain. The entire rest of the year, May through October, only gets about 5% of the annual rainfall. Consequently, if you come when most people visit, May through October, your chance of having your vacation ruined by precipitation is very low (so you don't have to carry an umbrella around). 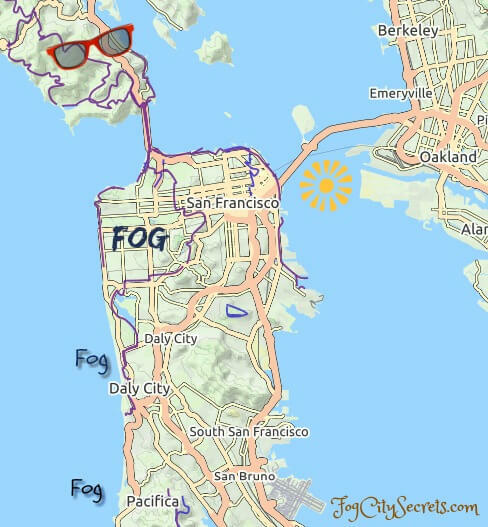 Note: Fog season is May, June and July, and often August, but mainly out in the western part of SF. 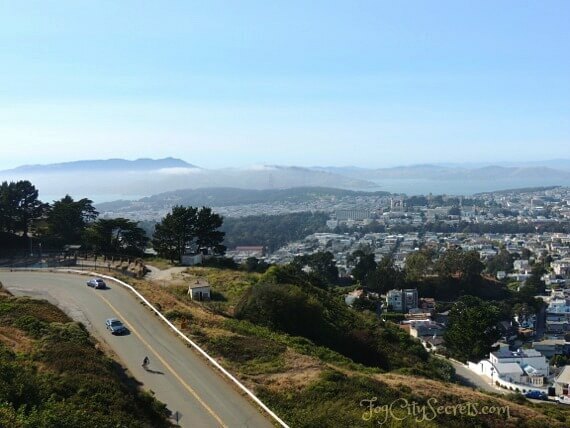 The bay counties surrounding SF get very warm in summer, often really hot, and see sunny skies every day, while San Francisco sits in its cool, foggy spot all summer. But even within San Francisco there are noticeable differences in temperature and sun. There can be a 10 degree difference between downtown San Francisco and the Avenues, out by the beach. 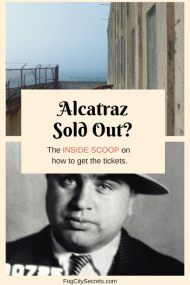 The areas popular with tourists tend to be in the sunnier part, like Fisherman's Wharf and Union Square, but Golden Gate Park, the zoo, the Cliff House and Ocean Beach are often socked in May, June and July. The warmest and sunniest parts of the city? The Mission District and Potrero Hill on the eastern side, sheltered by the hills. Is San Francisco the only foggy town in the Bay Area? No...Daly City, just south of SF is worse; and the oceanside town of Pacifica, just minutes down Highway 1 from San Francisco, is the foggiest of all. The weather changes here in minutes. Nevertheless, there are some common patterns with the weather in San Francisco. June, July and August tend to see a lot of fog. The classic pattern is fog on the coast in the morning, cool and mid to upper 50's (12 °C), burning off by around 10 am, sunny and low 60's (17 °C) until around 3 pm when the cool wind from the ocean starts up, and the fog rolls back in. Socked in until 5 or 6 pm, when it clears up again and the wind dies down. In the Avenues, the Sunset and Richmond Districts closest to the ocean, the fog can sit there all day. During our severe drought in California, we had a couple of gorgeous, warm and sunny winters, but the rain returned in the winter of 2015/2016. Since then, it's been off and on; the current winter (2018/2019) has been stormy and wet, and more is on the way. In winter (November through February), temperatures usually hang out in the mid 50's (18 °C) in the daytime, and drop into the low 50's (11 °C) and upper 40's (9 °C) at night. Rain comes in waves; a storm will blow in, last for a couple of days, and then move inland. A few days or weeks later, another front comes in and repeats. Even when we do get rain, it only averages around one third of the days in the month, so it's really pretty tame in winter. Occasionally we get some fierce winds which knock down trees, but we rarely see those heavy downpours that people in other parts of the country get. Thunder and lightning are rare as well. Kind of boring, weather-wise! March, April and May show a transition from rain to fog, though April can be gorgeous and sunny. May is one of our fog-bound months, with both day and night sitting at 58 degrees (14 °C) and gray! Our warm and sunny months are September and October. The air is clear and golden and the city looks its best. It can even get hot (in the 90's, 32 °C+! ), but that only lasts 2 or 3 days before our natural air conditioning kicks in: offshore fog...yay. During our "heat waves", the fog stays way offshore and there's not a cloud in the sky. All of the above is merely typical, not guaranteed! If the day is hot and the air is very still, you may hear someone mention "earthquake weather". Even though there appears to be no scientific basis for a correlation, some people get a bit anxious when the day is unseasonably hot and our afternoon winds are a no-show. The October day in 1989 when the last hefty earthquake struck was really hot and windless, and the weather was unusually warm the day of the Big One in 1906, but don't let it worry you! It's usually cool and windy in SF. Referring to the fog as Karl got started a few years back when someone created the hashtag #karlthefog on Twitter and it took off for some reason. Karl refers to Karl the giant in the film Big Fish; why, I don't know. Speaking of Karl, Carl Sandburg's poem Fog captures its essence. He was talking about Chicago, but we'll take it. Actually, Mark Twain had a high opinion of our weather, but he suffered mightily from a cold and rainy summer he spent in Paris in 1879. Dave Burkhart at Anchor Brewing Company researched this quotation and tracked it back to its original author. You can read his entertaining account of it, along with Twain's funny weather remarks, at coldest winter.